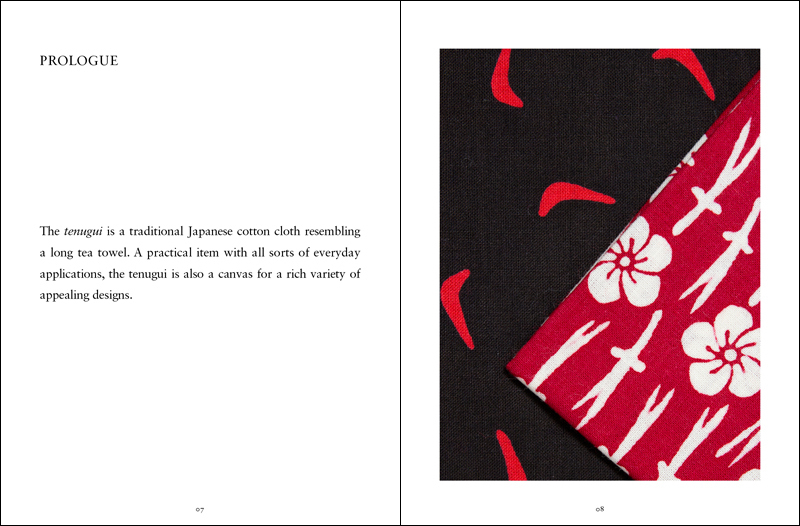 The word “tenugui” may be unfamiliar, but if you’ve even been to Japan you’ve surely seen these ubiquitous traditional cotton hand towels with designs ranging from classic Edo period patterns to trendy contemporary motifs. 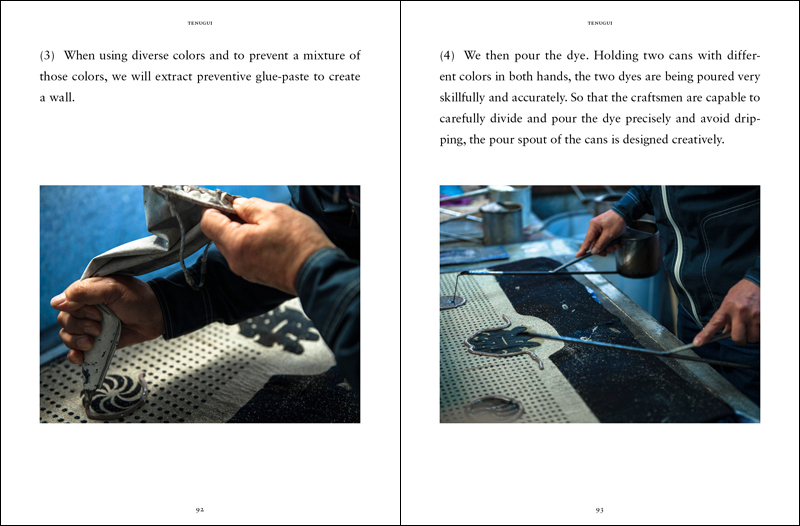 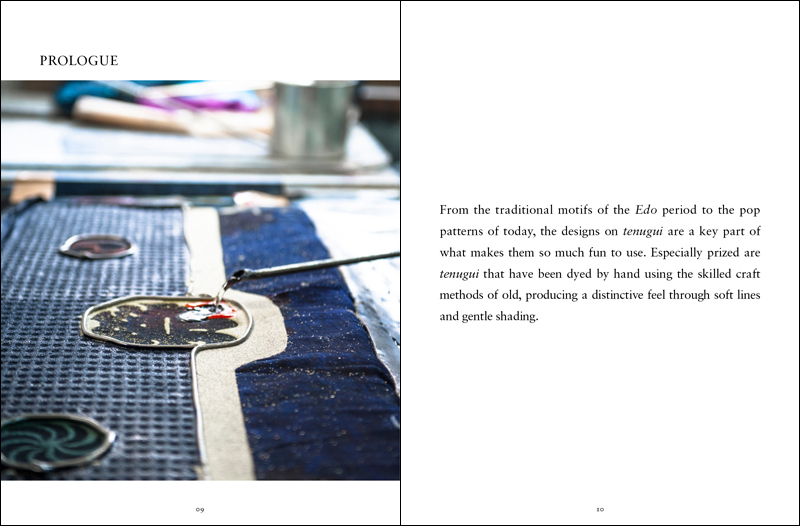 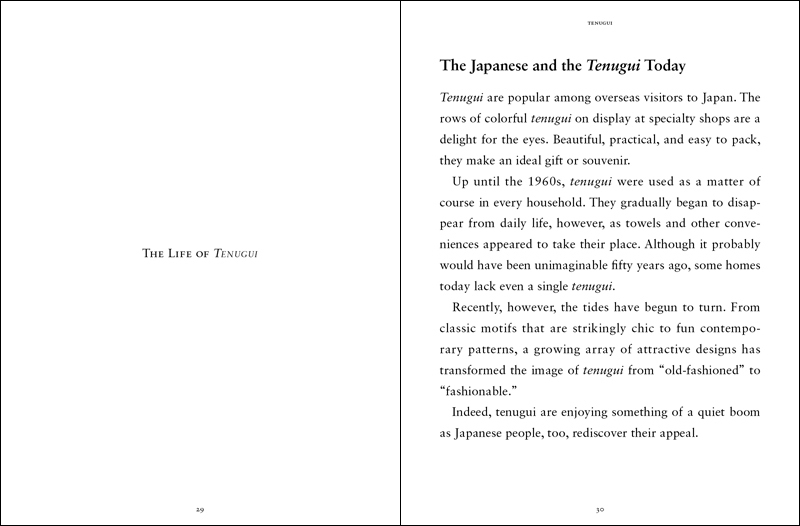 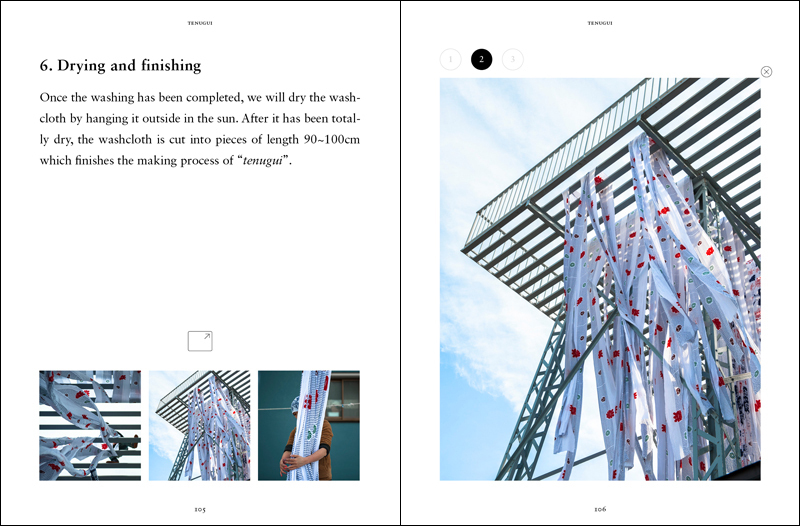 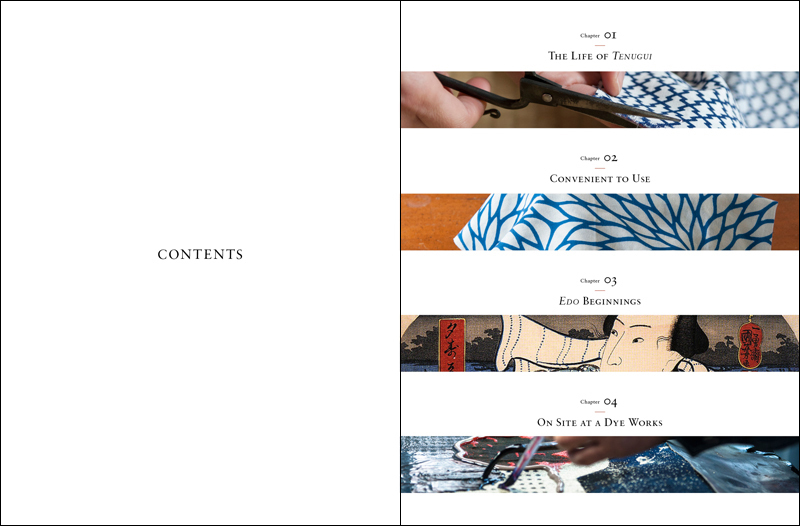 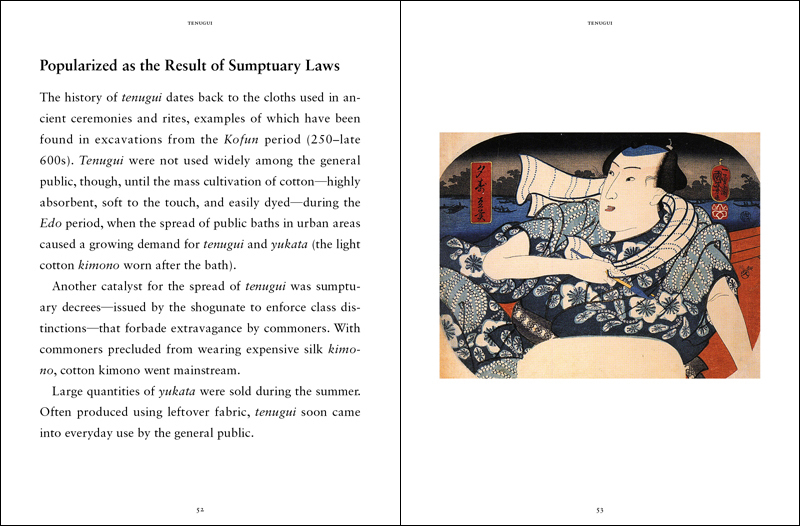 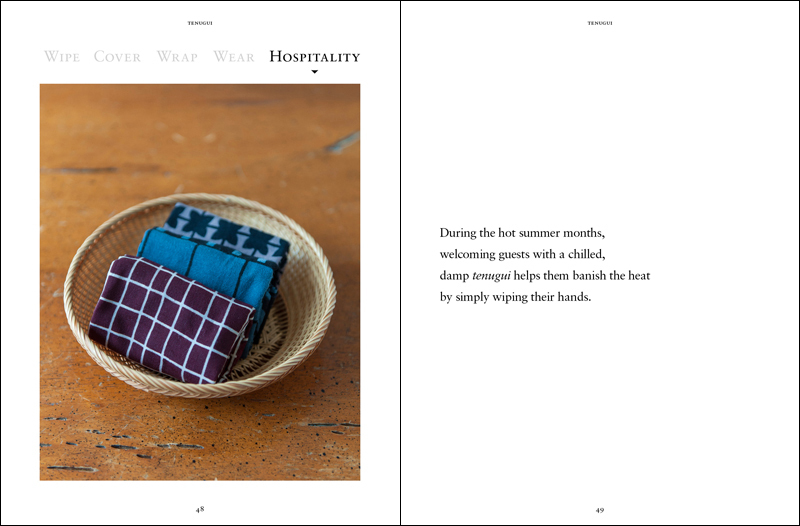 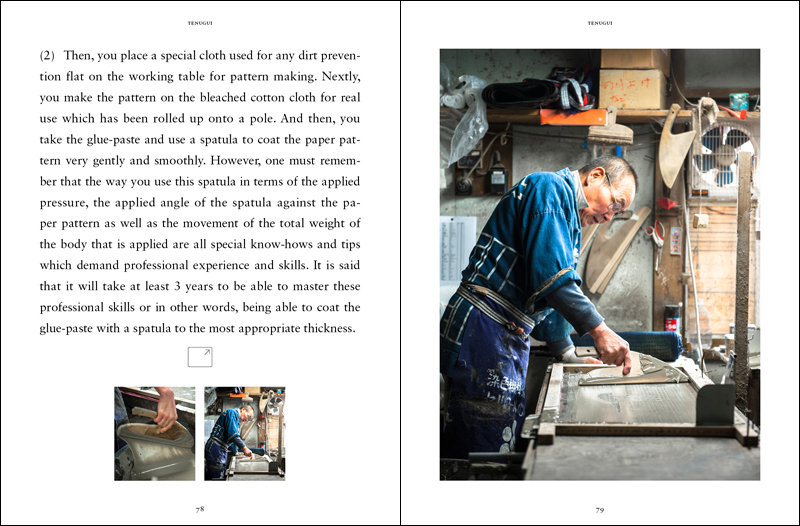 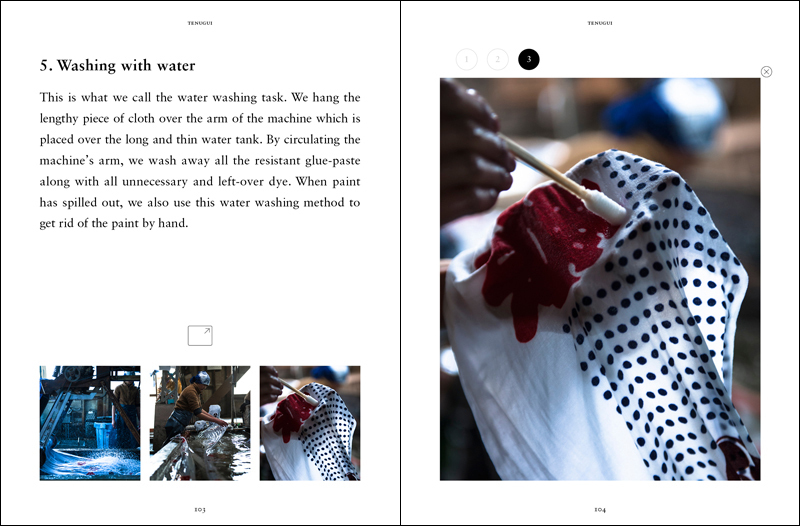 Most tenugui today are printed, but this beautifully illustrated eBook introduces you to traditional hand-dyeing techniques still employed by master craftsmen. 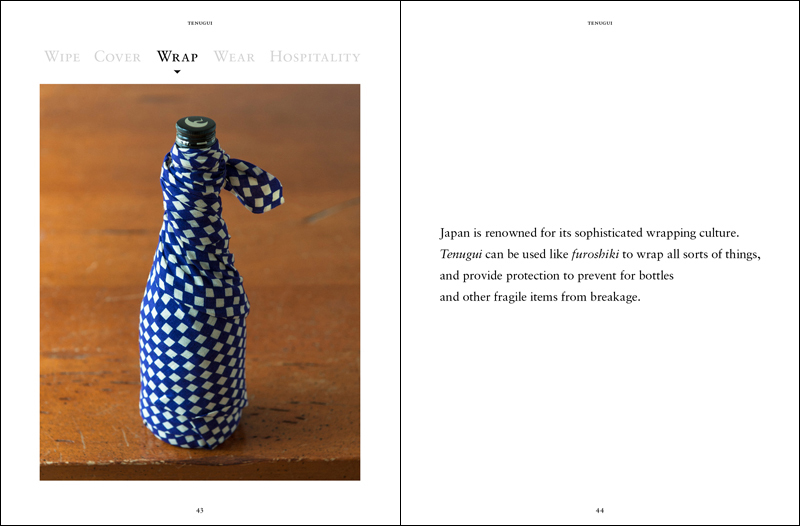 You’ll also find tips on how to use handy, eco-friendly tenugui in daily life. 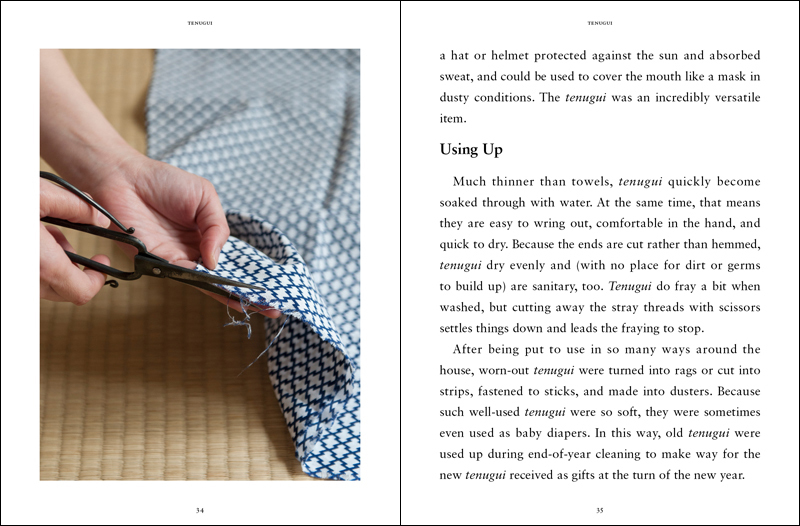 This e-book is now on sale at kindlestore, iBookstore and google play books.